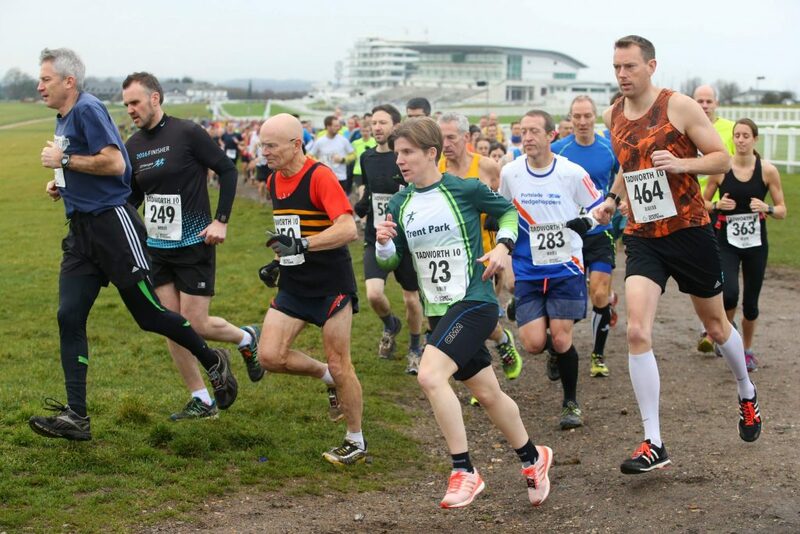 The Tadworth10, 10 miles race will be held on Sunday 5th January 2020 at 11.30am, starting and finishing at Epsom Racecourse, Epsom Downs, Surrey. The race is a scenic and challenging 10 miles, 2-lap course comprising 50% road and 50% tracks & grass and is normally supported by around 700+ runners of all abilities. Much of the proceeds from the race go towards assisting local charities. One of the traditional New Year pipe openers previously enjoyed by runABC South reporter Alan Newman is the Tadworth 10 and our correspondent was pleased to find the race is still going strong after 36 years. After our 2019 race, we were pleased to donate over 50% of the proceeds to two local charities; The Sunnybank Trust and The Woodland Trust. The start and finish are the same points, close to the 2-furlong post. Following the line of the railings, the route takes runners up through the old start on the track in the middle of the downs and cross the racecourse at the top as previously. From here the runners commence the first of 2 laps returning to this point at 5 miles. Most of this lap is the same as in previous years except for a shortcut along a footpath into The Avenue rather than running up to the traffic lights near Tadworth Station. As the runners reach Epsom Lane North they turn sharp left across the race course ‘chutes’ and return to the 5-mile point for the start of their second lap. At the end of the second lap the competitors turn down the track across the Downs they ran up earlier thus benefitting from a downhill finish with a good view of the line itself, subject to the weather! The course was altered for the 2014 race. This was done to avoid running on the increasingly busy road near Tattenham Corner. It also allows us to use a common start and finish close to the race HQ and thereby make better use of the grandstand’s excellent facilities – no portaloos, real flushing china toilets! We have prizes for top 3 male and female finishers, plus generous Vets prizes and, of course, a bespoke medal for all finishers. The medal to commemorate the 2018 race was well received by finishers. Entries on the day have been reserved at £30 (this is usually reserved to 50 in total).